Search Results for "green screen car"
Blank Advertising Billboard, green screen, beside Expressway at Twilight for advertisement. time lapse. An animated graphic overlay of a hypothetical car racing video game screen. Blank Advertising Billboard green screen beside road with traffic at night, for advertisement, time lapse. Long Island Expressway Driving Plate - Rear view driving through Suffolk, Nassau and Queens County New York. Commercial traffic only route to east end beaches and hamptons. Driving Plate - Rear view from a car driving through an industrial park complex on a clear autumn day. Back windshield view of a commuter traveling to work in an office complex. luxury black sport car isolate on green screen. photorealistic 4K animation. Windscreen wipers on red auto 4K, seamless, alpha, green screen, blue screen. Driving Plate - Rear view from passenger car traveling through an industrial business complex on a sunny winter day. Driving school eduction safety reduce accidents from drunk drivers on the road. Closeup. Young man is using Smartphone with Green Screen at Evening Time in front of road traffic. Casual Lifestyle. Hroma Key. Close up. Tracking motion. Vertical. Medium shot of a young beautiful woman driving and smiling to someone in the passenger seat, while making a right turn. 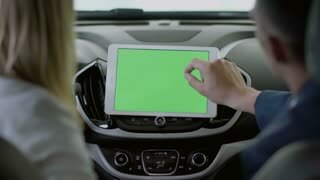 Cell phone is shown mounted to the windshield on green screen with trackers. A large billboard, on an ancient building, on a busy street. Green screen. Two billboards with a green screen. In the evening, on a busy street. 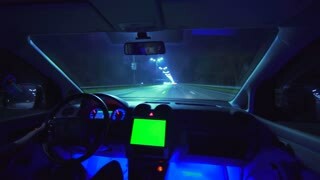 Blank advertising green screen beside road with traffic at night, for advertisement, time lapse. Advertising billboard with green screen and traffic at night, time lapse. red leather interior of luxury black sport car. Green screen footage. realistic 4K animation. red truckin a tunnel. fast driving. Green screen footage.